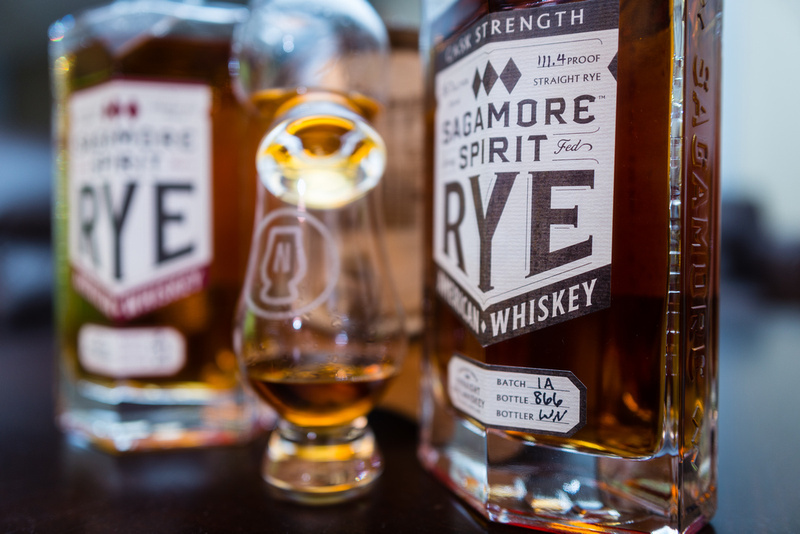 Wait, a rye from Baltimore? There are a handful of articles out there about this new local hooch and how it’s sourced from MGP but the water used to bring it to proof is actually retrieved from a spring at the actual Sagamore Farm but that’s not what we’re going to talk about today. As usual, we’re about helping you to save a few bucks on a dram that you might not enjoy or encourage you to drop your wallet on a bottle that you definitely will love. The biggest surprise about this bottle are the number of reviews out there that don’t talk about the vegetal notes that are RIPE throughout this bottle. If you’ve ever had the Brenne Ten year, this bottle will instantly bring back some memories for you as it boasts (suffers from?) those same vegetal notes that make you wonder if you’re not actually eating grass and weed clippings from a yard. We’re not even joking. 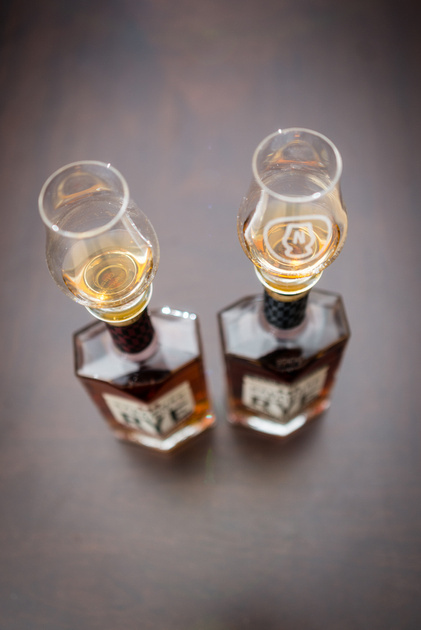 But NO ONE ELSE is talking about these notes on the nose and flavors on the palate. That said, let’s get to the review and maybe (if you’ve had it) you can comment and let us know if you get the same flavors going on in your bottle. 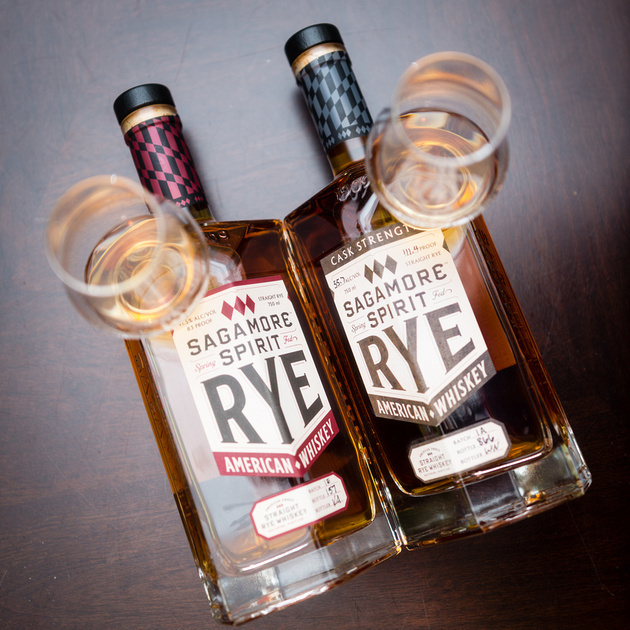 If the Sagamore Rye Standard (SRS) is a tarnished brass color, the Sagamore Rye Cask Strength (SRCS) is a shade of brown darker of the same tarnished brass. The SRS is noticeably more vegetal than the SRCS. Where the SRS smells like peppery grass and rides an earthy wave all of the way into the ground, the SRCS actually shares a healthy hint of those notes but envelopes them in layers of rye spice (like the bread, not like dill) and sweeter notes typically found in whisky aged in American oak barrels. 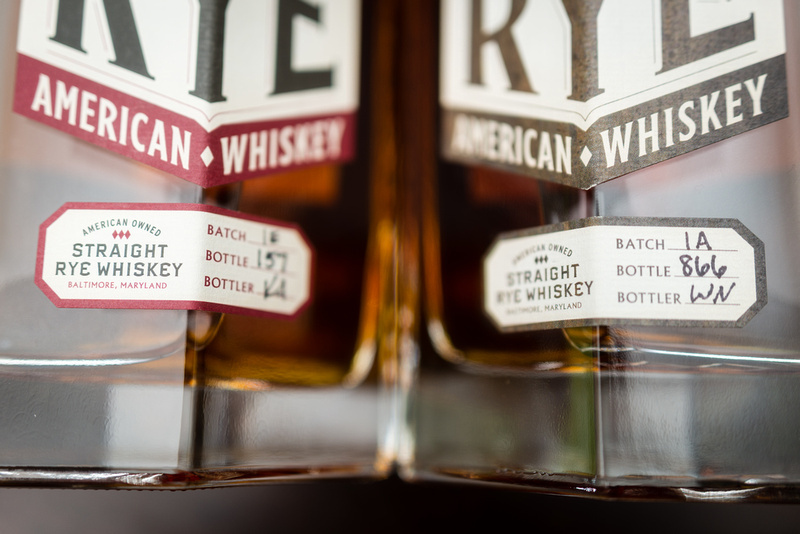 If you’re a fan of the dill rye flavors in Midwinter’s night dram, you might like the flavors in these brother bottles. 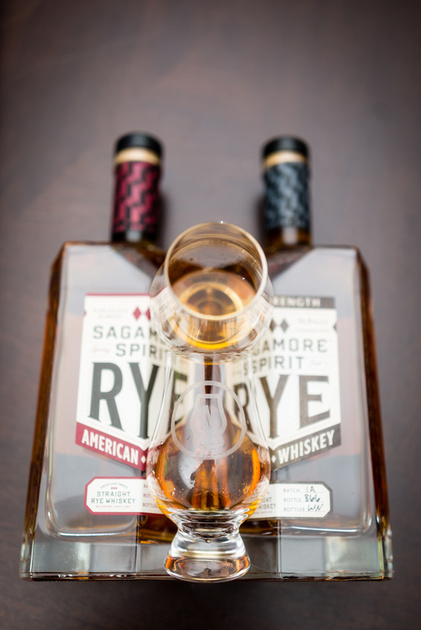 If you’re not a fan of the MWND, you might need to cleanse your palate with Pikesville Rye (6) or Michter’s Barrel Proof rye. 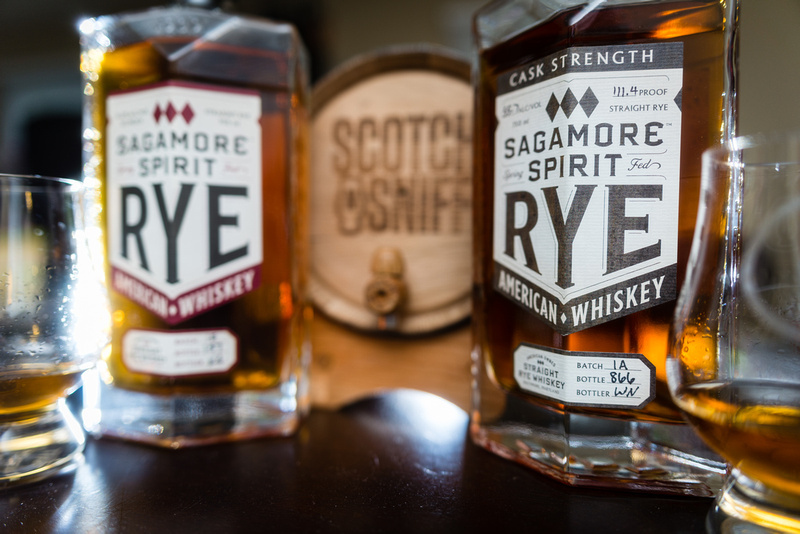 Both of which exude awesome rye flavors with no dill and no grass clippings. The SRCS rolls onto the tongue with heated authority and washes the tongue in more rye bread spices with just a touch of vanilla. The vegetal notes from the nose bowed out of the palate which is a pleasant surprise. The SRS on the other hand tastes muted against the SRCS and is not much more than the vegetal notes from the nose on your tongue. Everyone can appreciate a dram that delivers a palate in line with the nose but in this case, the SRCS abandoning the nose might be the more enjoyable way to sip this. With water the SRS is even weaker in terms of flavor and does little to mute the sharp grassy notes that soak the pour. A bit of water on the SRCS and the palate gets drenched in tannic dryness and exposes an almost candy sweetness subtly lingering around waiting for you to notice. A very interesting palate trick! Where the SRCS leaves the tongue awake and alive, the SR is its weaker sibling that suffers from sheer laziness. With water, the SRS is even weaker of a finish but the SRCS finds a bit more interesting complexity. Well there you have it. Oddly enough, if we HAD to choose a bottle to have between the two, the SRCS would get the nod. Not because “whiskey at cask strength is better” but because the whiskey actually tastes better.